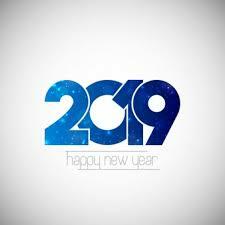 Many of us start the new year making resolutions because it’s a great time to think about making some changes, like losing weight, getting more exercise, saving more, etc. While we have the best of intentions, we may not follow through. Quitting before we cross the finish line is the number one reason resolutions don’t work. So then, make a plan! For example, if you want to save more this year, the easiest way to do that is spend less. Take a look at your spending habits and think about how you spend your money. Where does it go? Where can you cut back to make small changes that could add up to big savings? Every time you get ready to make a purchase, ask yourself if you really need that right now. Working on being a little more frugal can not only be fun, but result in big savings. Go here for financial fitness tips to help you get organized for the new year. Happy New Year! Yes, it’s that time of year when the University promotes wellness. The “Shoo the Flu” clinics offered all over campus are free and could help ward off some of the nasty effects of the upcoming flu season. 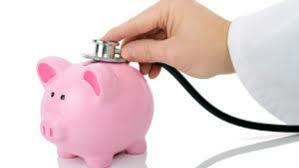 It’s also a good time to take steps to avoid the financial flu. While you are taking vitamins, working out, eating nutritiously and getting plenty of sleep, how can you do the same with your finances? Take a look at your budget. How is it working for you? What changes do you need to make? Find a way to keep track of your finances that works for you, such as simply taking the pencil to the paper, using free software or an app for your phone. A budget isn’t meant to cause you stress, it’s meant to reduce stress because it helps you know where your money goes instead of having to wonder where your money goes. Go here for more money tips, and have a healthy fall! As a new student, you are part of Creighton University’s largest freshman class in history. What an exciting time! For many students, this could be the first time on their own and that could mean handling their own money for the first time. The most important thing to remember is to have a plan (aka budget). The easiest way to spend less is by knowing exactly what your resources are and what your expenses are with the goal that your expenses are less than your resources. Then you can save for the things you want to do. One way to save to use the meal plan you have already paid for before going out with friends. Another way is to take advantage of free events on campus. Go here for more money management tips. Have a great fall semester! After a busy fall and spring, you might be thinking you really need a break. It is important to decompress and enjoy some down time. It’s great to see friends and family and take advantage of some of those activities you haven’t been able to do for a while. But don’t break the bank! Before you know it, school will be starting up again. Hopefully the summer job is going well and you are able to save up for next fall’s college costs. To help save, think of low cost or free activities to enjoy. When it comes to the road trip you have been planning, perhaps stay a little closer to home and stay with friends along the way. How about a camping trip? 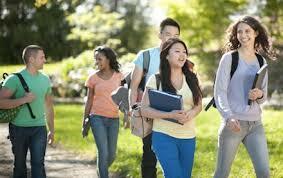 Go here for more money management tips to help you get ready for the fall term. 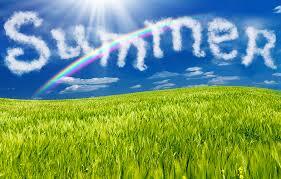 Relax and enjoy the rest of summer! Pay yourself first basically means saving before you do anything else. Anytime you have some income, put something back before you pay your regular bills or make plans to do something. If you wait to save what is left at the end of the month, saving probably is not going to happen. If you don’t have much to save, throw your loose change in a jar, put loose dollar bills in a safe place, or open a separate savings account. 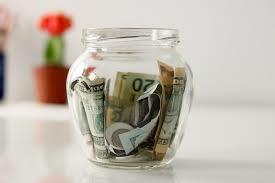 Even though regular bank savings accounts don’t pay much interest, at least you are saving something. Make saving a habit! Go here for money management tips. Have a great spring! 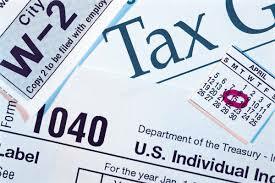 The Internal Revenue Service recommends that you file your tax return early. Not only to get your refund faster, but to avoid be scammed. If you wait until close to the April 17 deadline, that may give thieves more time to file a false return using your information. In addition, the annual “IRS will file a lawsuit against you” telephone scam is in full swing. Know the IRS will always contact you by mail if there is a tax issue, rather than via phone call. If you receive a phone call and it doesn’t pass the smell test, hang up! More tax filing tips can be found at www.irs.gov. The beginning of a new year seems to be a good time to start fresh, perhaps make some resolutions. When it comes to setting resolutions, the number one reason resolutions don’t seem to work is that we set unrealistic goals. So, how to get started….. First of all, take a hard look at last year’s finances. How did your spending/saving plan work for you? Were you able to keep your spending on track and able to save a little each month? If so, great! If not, think about what worked and what didn’t’ work. Where you make small changes so that you are balance things out. Remember, the easiest way to save is to stop spending for a while. Go here for more money management tips, and have a great new year! The holidays are just around the corner! Fun activities, good times with friends and family, way too many sweets, and extra spending on gifts. Hopefully that’s all built into your budget for the holidays. The American Research Group, Inc, reports the average spent on gifts in 2016 was $929. To get through the holiday season, start with a list and check it twice! 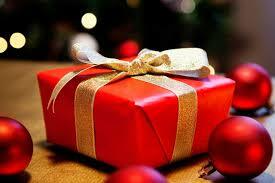 Write down who you plan to shop for, and then set a limit for each person. If you overspend on someone, that might mean you have to spend less on Uncle Bob. Price check, clip coupons, shop around, do whatever it takes so that you don’t break the bank. Go here for more money management tips. Have a wonderful holiday season! How fit are Creighton students? Another workout? Yikes! Don’t worry, we are not talking about physical fitness here. While it’s a good idea to take extra steps to stay healthy during the fall, it’s also a good idea to think about your financial health. Of 1000 Creighton undergraduate students responding to a survey question “How would you describe your financial health?” 45 percent responded they were in good shape, 46 percent said they were a little flabby and 9 percent said they were seriously out of shape. It may not take much to tone up a bit and when it comes to financial fitness, just take a little extra time to connect the dots and do the math. 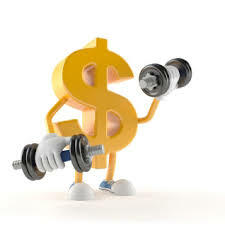 Go here for financial fitness tips to help start or change up your training plan! The Consumer Financial Protection Bureau has provided valuable information to help you protect yourself and your credit. Go here to learn more!